This book features all you need to know about guy and girls fashion, from designer clothing and footwear to bags and accessories, from runway styles to fashion trends, international designs, and more. 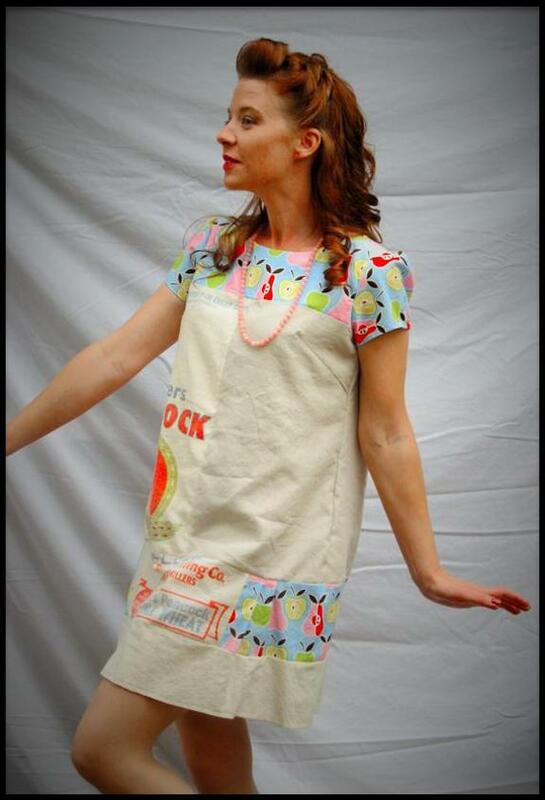 SACK DRESS: A straight-cut dress with no waistline definition, sometimes made of an actual flour sack. SACK GOWN: A loose, floor length dress that flares at the hem. The sack gown was a popular girls fashion in the early 18th century. 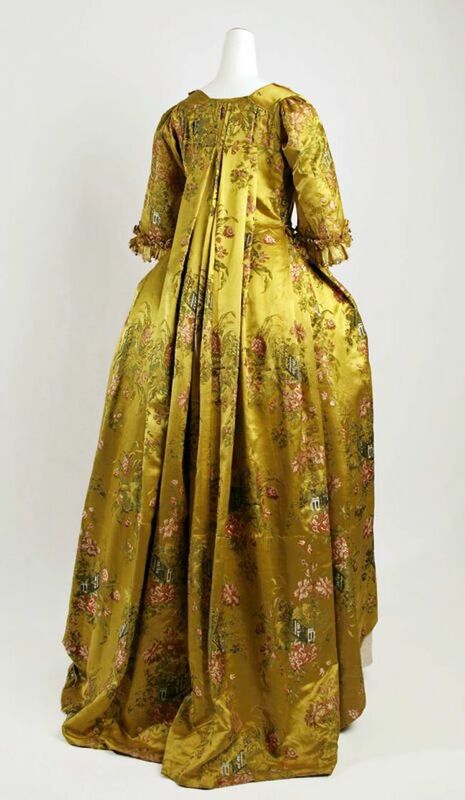 Shown below, a sack gown circa 1730. SACKING: Burlap, hemp, or any coarse, heavy fabric used for making sacks. 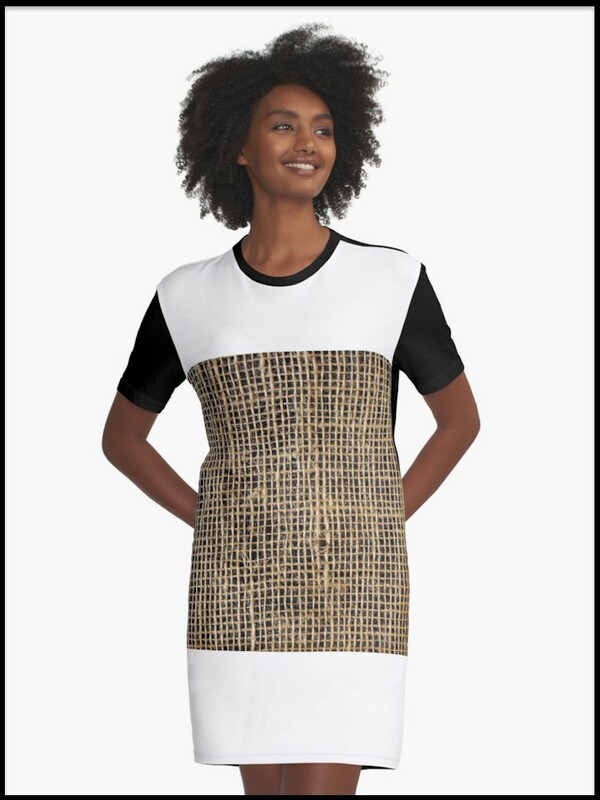 Below, a dress made with sacking material. 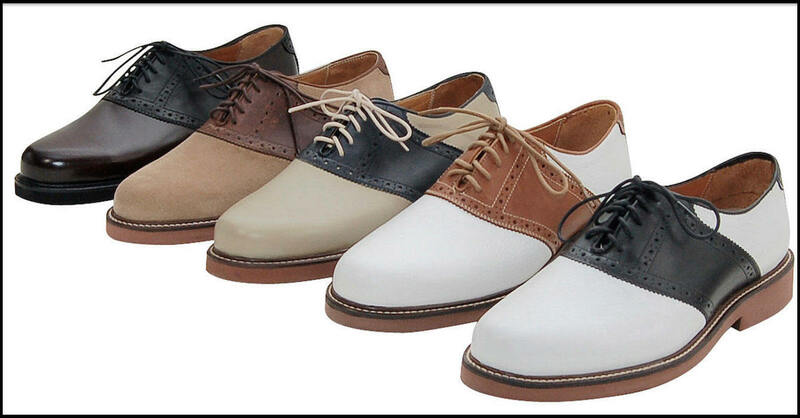 SADDLE SHOE: A casual Oxford shoe with a saddle-shaped piece placed over the upper, for reinforcement and/or decorative effect. Saddle shoes are part of girls fashion as well as men's fashion. 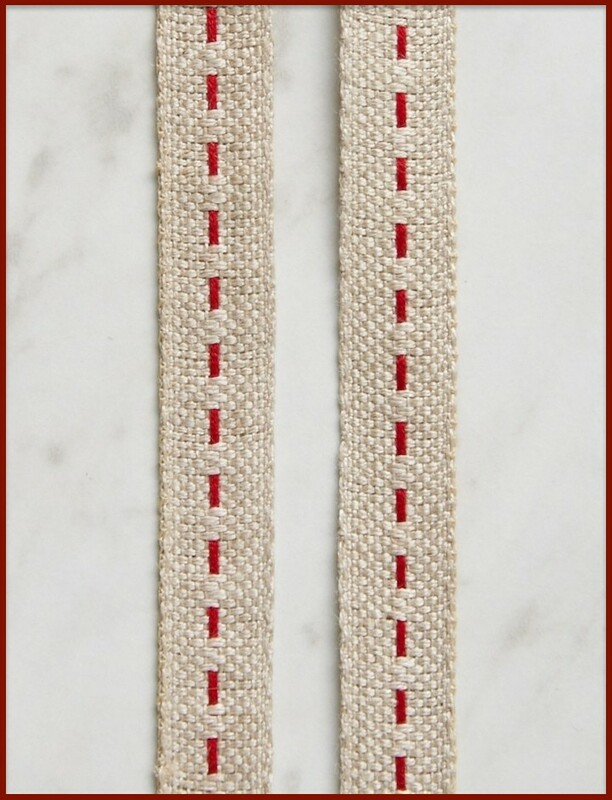 SADDLE STITCH: A basic, straight sewing stitch that travels alternately from one side of a garment to the reverse side, with more stitch visible on the reverse side. Also known as a running stitch. 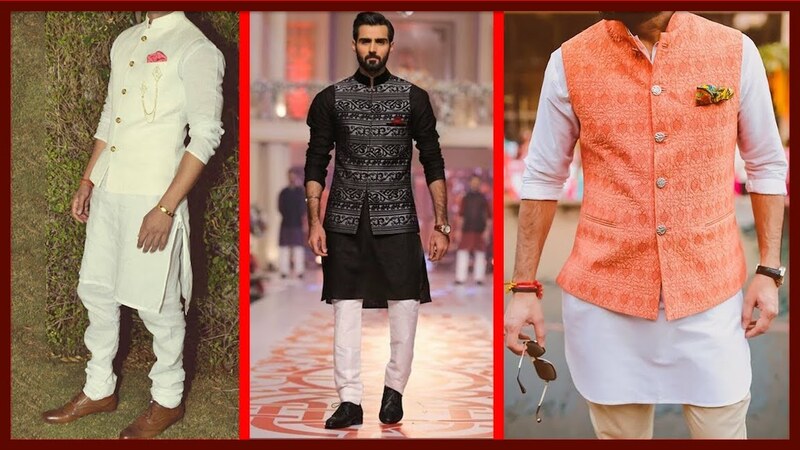 SADRI: A type of sleeveless jacket, originally designed in India. SAGUM: A cloak made of coarse wool, typically fastened on one shoulder. This fashion was popular in early Germany and Ancient Rome. 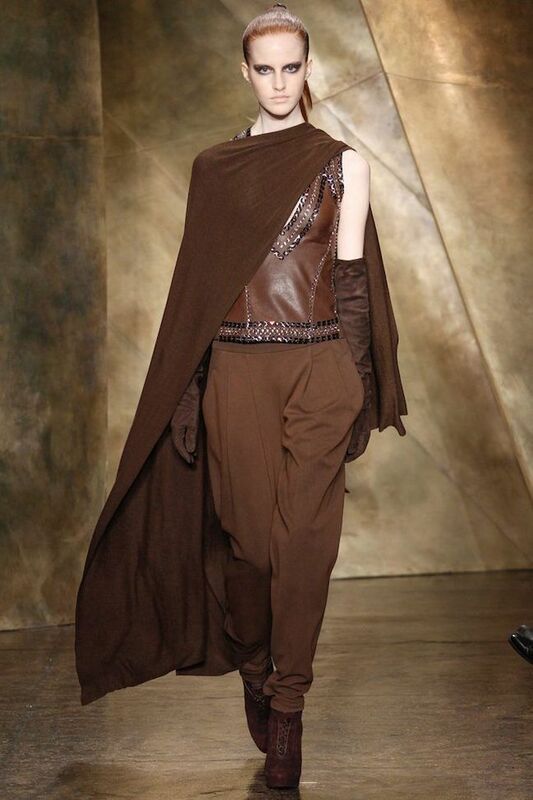 Shown below, a contemporary sagum design by Donna Karan. SAILCLOTH: Originally, a heavy woven canvas cloth used for making sails. 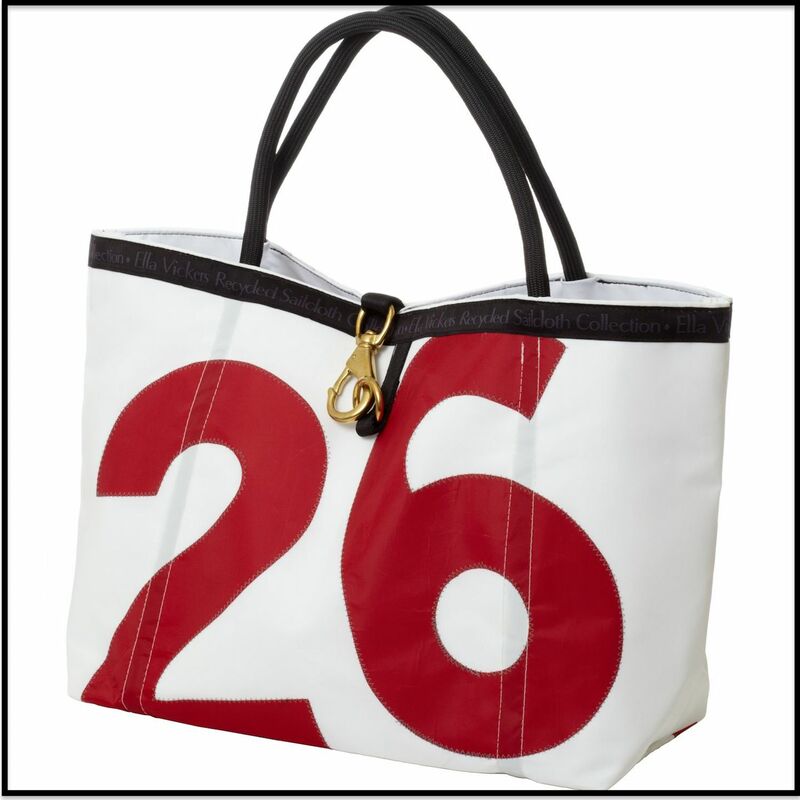 Nowadays, sailcloth is also used in fashion design for beach bags, accessories, and wearable art. SALWAR (SHALWAR): The loose, pajama-like pants of an outfit that originated in India and Pakistan. SANDAL: An open shoe where the upper consists of one or more straps across the top of the foot. SAREE (SARI): A long, lightweight sheet of cotton fabric wrapped around the entire body. 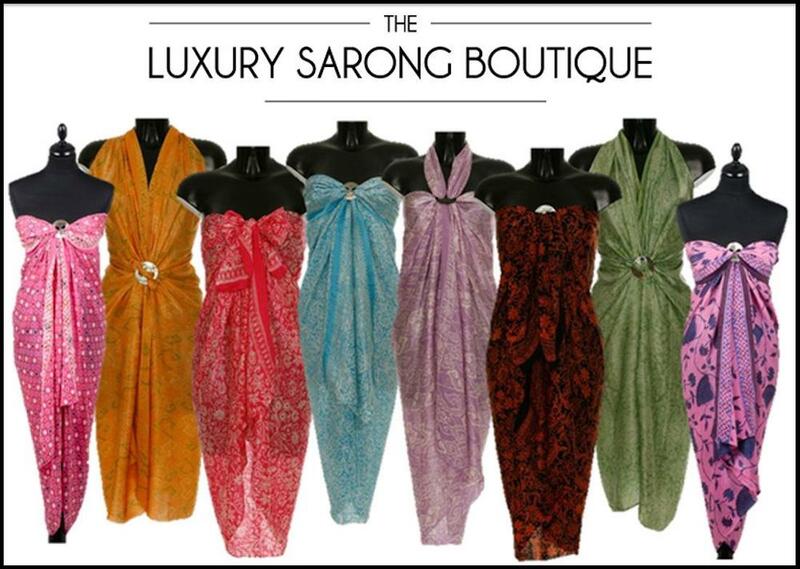 SARONG: A length of fabric worn wrapped around the waist and/or torso. SARTORIAL: A quality pertaining to fashion and style. Shown below, a sartorial storm of Parisian gentlemen. SASH: A long, wide strip of fabric, traditionally worn across the chest from one shoulder to the opposite waistline. 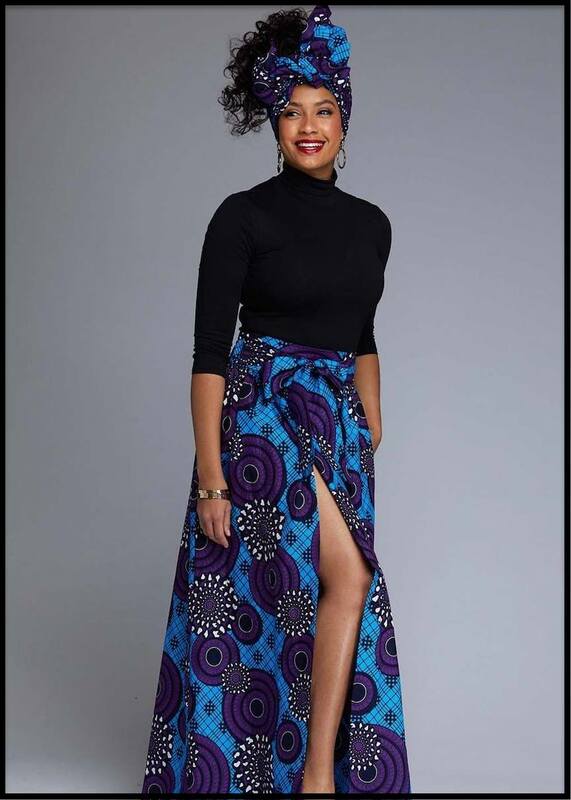 But the sash can also be tied around the waist, and makes a perfect hair accessory, as evidenced by the lady shown below. 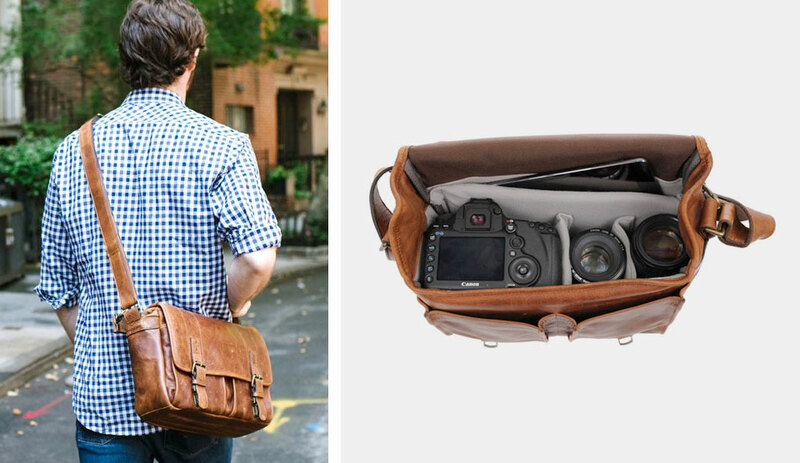 SATCHEL: A type of carry bag, typically with a shoulder strap worn diagonally across the chest. SATEEN: A silky, skin-like fabric usually made from cotton, with greater durability than satin. SATIN: A smooth, lustrous, shiny fabric often derived from silk, with a dull reverse side and extraordinary draping capabilities. 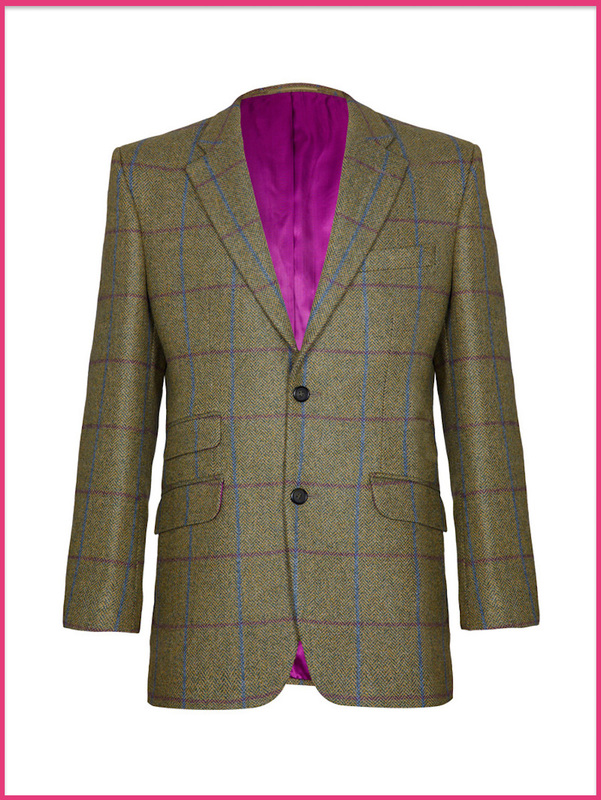 SAXONY: A soft, fine German fabric made from Merino wool, typically used for sports jackets. SCALLOPING: Successive curves or semi-circles cut at the hem of certain garments, which bear a passing resemblance to scallop shells. SCOOP NECK: A low, U-shaped neckline. 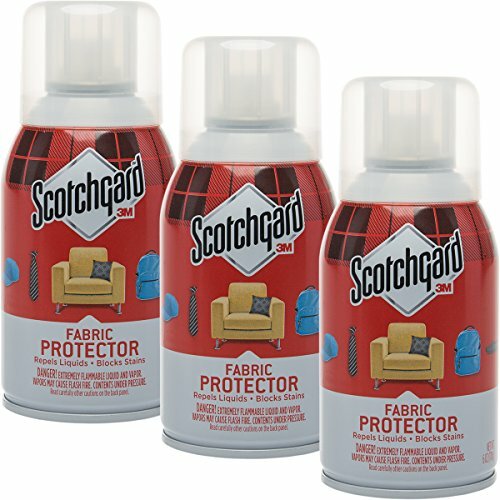 SCOTCHGARD: A waterproof, stain-resistant fabric finish patented by the 3M company. SCREEN PRINTING: A design technique that involves forcing pigment through a mesh barrier onto the surface of a fabric. Look Here Right Now for your First FREE, FAST AND EASY Girls Fashion SEWING PATTERN! Full instructions included. Go Here to find out all about guys and girls fashion at Fashion Colleges Near You. FACTORY OUTLETS IN EVERY STATE provides a detailed list of outlet stores Near You, featuring many guys and girls fashion items at discounted prices.